Mortgage refinance is taking out a new loan to pay off your old mortgage. The new loan will have more favorable conditions such as a lower interest rate or longer term, and you might even be able to take out more money than the value of the previous loan, leaving extra cash (cash out refinancing) for paying bills and doing home improvements etc. This new mortgage is secured against your home, in the same way your old one would have been. How online mortgage refinance works? Home mortgage refinance can be easy when done online. There are many companies that offer such services, take advantages of the free information and quotes available online, and use these as guidelines and for comparison. No need to leave home and spend hours going from bank to bank, online is much quicker and convenient. Just fill in the online application form and receive quotes that are specifically made keeping your financial situation in mind. There is less red tape involved in getting a mortgage refinance loan online as lenders continually streamline the process to make it easier. Online is definitely the most efficient and effective way to get mortgage rate refinance quotes. 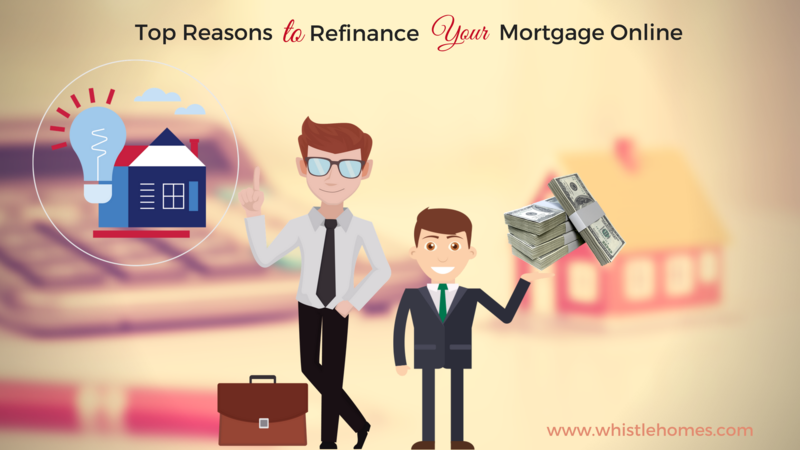 Why to refinance your mortgages online? When you get mortgage refinance online, you are locking in some of the lowest rates available anywhere online or off. Many lenders are vying for your business, and they will each put forward the best quotes they can offer giving you a myriad of options to choose from. Online home mortgage refinance is also convenient and not as time consuming as traditional means. No need to leave the privacy of your home, make appointments and take time off work, just go online at your convenience and apply. Reputable and secure sites are as safe as physically going to the bank. Do not be afraid to check the sites credentials and encryption methods. – Get a lower interest rate and better terms than your current mortgage loan. Online competition ensures that mortgage rate refinance terms are favorable for borrowers as each company tries to gain market share. – It is fast and convenient to get multiple offers. You don’t need to spend countless hours going from bank to bank seeking the best conditions; the lenders will come to you online. – More information is available online so that you can make a well informed decision. Take your time and read over the material provided. There is no rush to get paperwork in before closing time, we don’t close. – There is no discrimination online. Lack of face to face interaction helps bypass subtle prejudices that can still be found with some offline establishments. How online bad credit mortgage refinancing works? Online bad credit mortgage refinancing works similar to regular refinancing. There are many lenders online that specialize in this type of mortgage financing and will not turn you away like other institutions such as banks and credit unions. They understand your situation and are sympathetic to our needs. These lenders want to see you get back on your feet and get your bad credit under control. To get started just apply using their bad credit mortgage refinancing application form and see the kinds of offers that are available. There is no obligation whatsoever if you do not find something that suits you. – After all paperwork has been completed and sign, you will have successfully refinance your home mortgage.